Finish Line On-Site Coupons: Up to 20% Off: Promo codes good towards socks & shoes! View All Nike Elite at finishline.com. Did you grab a discount code? Socks have come a long way since I played serious competitive sports back in the day – we used to just throw on any old pair before lacing up for a game. 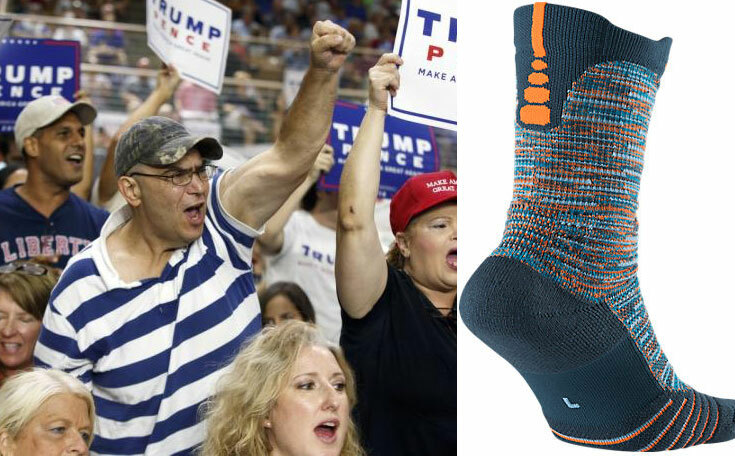 But the folks over at Nike are in the mindset that if you’re going to shell out $100+ for high-performance sneakers, you should have an equally well engineered pair of socks to accompany them. 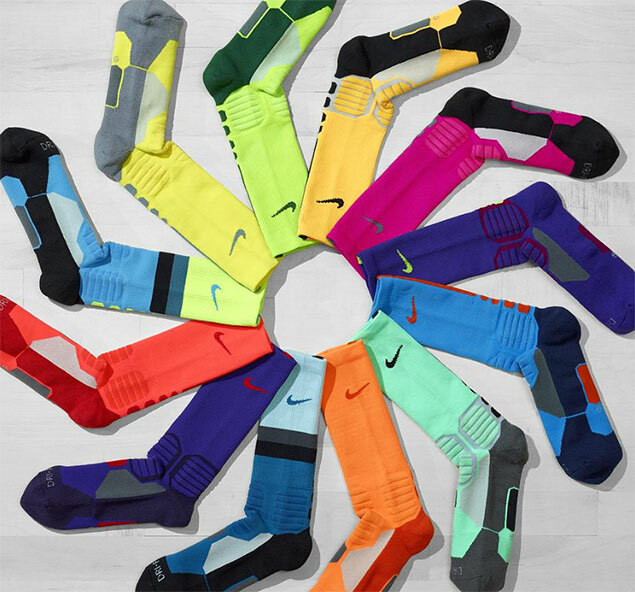 The Nike Elite Socks have targeted padding to protect and cushion the areas most prone to impact, and have developed a special Dri-FIT fabric that quickly wicks away sweat to keep your feet comfortable. *After wearing these socks in a few recent pickup games, I’m a believer. DOWN WITH ELITIST SOCKS!!! We are NOT descended from (sock) monkeys!!! * And remember, if you are ordering a bunch of pairs for yourself or your team, take advantage of one of our Finish Line coupons as well on top of the Nike Elite 2 for $30 deal – if your order totals over $75, you will be eligible for the $10 coupon. Deals change every day, so your best bet is to click above to see today’s top promo codes, or check the Finish Line’s shoe release calendar for notifications on exciting new sock releases. Stone Age – Animal skins were gathered and tied around the ankle to protect the foot from the environment…and now we complain when we get a hole in our socks – sheesh. Wimps. 400 AD – The earliest known surviving socks were found in Egypt, and they were of the tabi style, which has one toe compartment for the big toe, and one compartment for the other toes – so they were able to be worn with sandals (in the sand, obviously). Later – The modern word “sock” derives from the Latin word “soccus“, which was a loose-fitting slipper worn by Romans. 1950s – Sock puppets and Sock Monkeys invented to the delight of children everywhere. Now – The modern sock Capital of the World is Zhuji, China, which produces about 6 billion socks annually (and about 3 billion of them disappear every year when we do our laundry). Is this history of socks not detailed enough for you? Then try this painfully detailed, and really verbose history of socks. Spoiler: The highlight is the late 17th century use of cotton in socks; Thrilling! This entry was posted in nike, socks and tagged finish line, finish line coupon, nike elite socks, nike hyper elite socks on November 7, 2016 by kevin.